Nestled in a valley in the picturesque Pyrenees, the tiny principality of Andorra on the border between France and Spain enjoys an excellent quality of life for a fraction of the cost of living in other Western European countries. 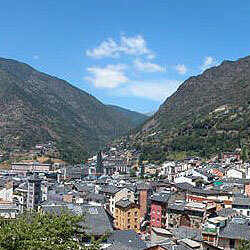 Andorra has become not only a favourite holiday spot among its neighbours, but a home for many well-off expatriates. It is one of the safest places in Europe; street crime is virtually unknown here. It has a highly secure and unregulated banking system. It is the nation with the highest life expectancy in the world. Andorra is also almost tax-free, except for small taxes to be paid on property ownership and rent, and employees’ being required to contribute to the national insurance program. There is no income tax, no capital gains, no inheritance tax, and no sales or value-added tax. Although not a full member of the European Union, Andorra uses the euro as its currency and enjoys some EU members’ benefits as a member of the EU Customs Union. Tourism drives the country’s economy; 80% of its GDP is generated by this sector. 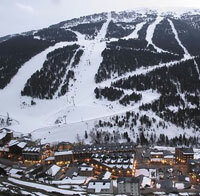 Most tourists go to Andorra for the skiing; the ski season here runs from December to April. The country’s great skiing centre is Grandvalira, the largest in the Pyrenees with about 200 kilometres of runs between six villages in the heart of the country. Despite the influx of wealthy foreigners to Andorra’s ski resorts and rustic villages, the country has preserved a lot of its traditional Old World charm. Many of Andorra’s churches are beautiful examples of 11th to 13th century Romanesque stone architecture. Its homes, too, have a distinctively Pyrenean character—warm, cosy low buildings made from timber, slate and grey stone. In Andorra, normal two- to three-bedroom homes can be fairly costly. But the cost of living here is much lower than in Spain or France. Food, wine, and other necessities can be bought at bargain prices. Even high-end goods are cheaper because there are no sales taxes. The country is divided into seven parishes, or parróquies: Canillo, Encamp, Ordino, La Massana, Andorra la Vella, Sant Julià de Lòria, and Escaldes-Engordany. It is populated mainly by Spanish, French, and Portuguese nationals; remarkably, native Andorrans are a minority in their own country. The native tongue is Catalan, but French and Spanish are widely spoken too. Andorra is a parliamentary democracy; its capital is Andorra la Vella.